Bahia villa in Jamaica is a wonderful rustic and quaint cottage for couples or friends who want to get away to Jamaica at an affordable cost. 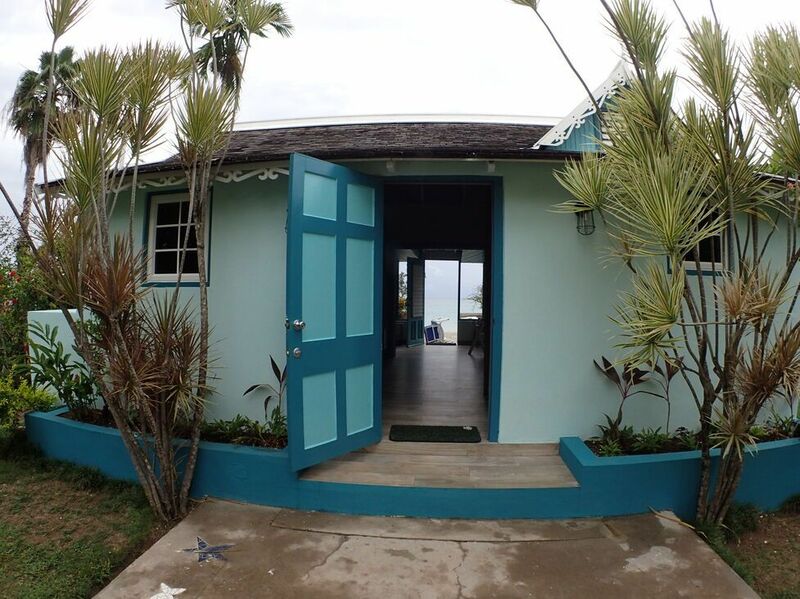 This lovely seaside cottage has all the amenities that will make your vacation relaxing, in front of your own white sandy beach. Bahia is a quaint seaside cottage which is very comfortably furnished, designer colours, wooden fret-work by local craftsman. This is the perfect island get away for two. There is no need for a swimming pool here as the whole Caribbean sea is your swimming ocean. Located beside Bahia, is Siesta villa which is a large 5 bedroom villa. For larger families, renting both villas will be a lovely complete vacation. Guests of Bahia will then share Siesta's swimming pool. These cottages are very children friendly. Bahia's loft bedroom: Double bed, ceiling fan, bathroom has bath tub, shower combination, linens and towels. Baywatch(5 bedrooms) + Siesta (5 bedrooms) + Bahai (1 BR)= 11 Bedrooms on the beach!